Riverbend Homes For Sale & Real Estate: Edmonton Ab. Riverbend Homes For Sale Edmonton Ab. Located south of the North Saskatchewan River, Riverbend homes for sale are among Edmonton's most highly sought residences. Blessed with an abundance of greenspace and natural splendour the Riverbend area includes some of Edmonton's most expensive homes. The region includes the Brookside, Brander Gardens, Carter Crest, Henderson Estates and Ramsay Heights communities. 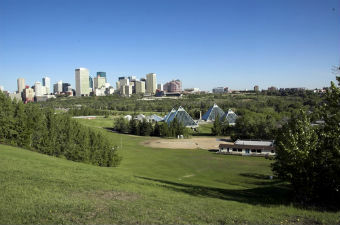 Located with easy access to Downtown Edmonton, Riverbend is in a fantastic location. Learn more about Riverbend homes for sale below the listings! 164 Properties Found. Page 1 of 19. Explore Riverbend real estate and you'll see there is plenty of nearby shopping at Terwillegar Park Shopping Centre. There's a Safeway grocery store nearby in Falconer Heights, plus the Westbrook Shopping Centre is close by as well. And Southgate Mall is not too far, just off Whitemud. There are several schools in the area including Riverbend School, Brander Gardens Elementary School and George H. Luck. Riverbend Junior High serves students in Grades 7-9. Check out homes for sale in Riverbend and embrace an area that's blessed with some amazing parks and trail areas. With the Whitemud Creek Ravine bordering the eastern side of the area, Rainbow Valley Park is very close. It features Edmonton's inner city ski hill and ski club (the Snow Valley Ski Club). Snow Valley is open for skiing in the winter and caters primarily to beginner skiers and snowboarders. There is also campground in the park. One of the larger parks in the area is Terwillegar Park, which is right by the river. It's as great place to explore the river and enjoy a stroll on the trails. Fort Edmonton Park is at the northern tip of Riverbend and there residents can see how Edmonton's first settlers lived. Fort Edmonton - which is 158 acres - consists of four sections with each representing a certain era. If you want to view any homes in Riverbend, please contact the MaxWell Challenge Realty team today. We'll help you find that home you're looking for in Edmonton.